Features a built-in short circuit prevention function and durable switches with long service lives. Shared 50/60Hz specs, improved maintenance service, and quick response to requests for voltage specs for products for export. Conventionally, backflow prevention diodes built into centralized shunts are used to prevent current interruption, but isolation endurance between earths can drop in sudden rain causing current interruption accidents. 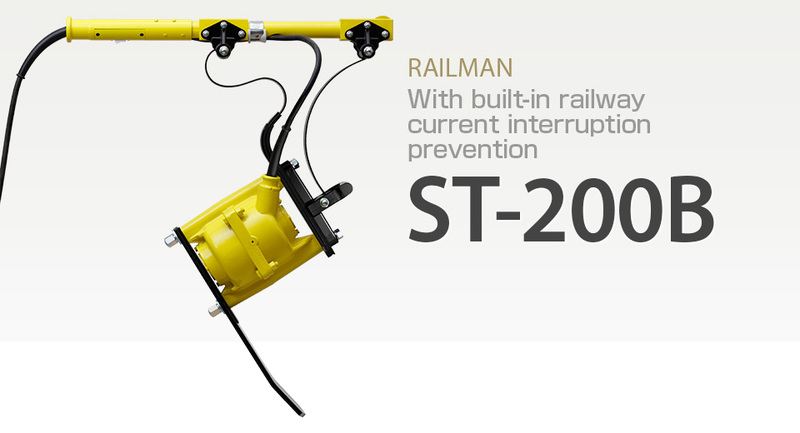 For this reason, RAILMAN installs backflow prevention diodes in its tie tampers as a way to prevent railway current interruption between tampers. RAILMAN uses switches with extremely high endurance. The insides of switches are kept clean with dust-proof covers, and switches themselves are made of flame-resistant materials. These are functional parts with extremely long service lives. The switches are commonly available, and thus can be simply and inexpensively repaired. The plates on the switch cover of the handle are secured at 4 points and spring washers are used in the structure to completely prevent loosening. Detailed processing with fine Japanese cutting tools means there are no protruding screws coming out of the handle. For users, grips (mounting plates) are convenient functional parts. Unfortunately, they are positioned so that they run into things. 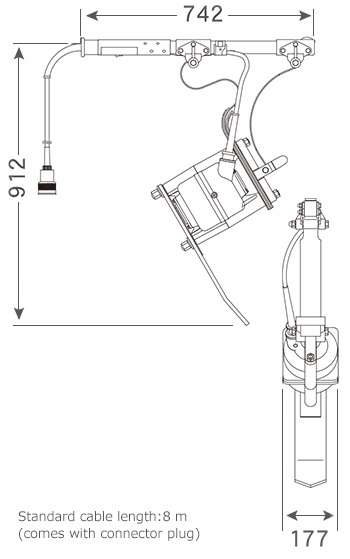 When grips are damaged, springload function can be lost, and tamping turned off. To prevent this, grips are made of highly durable materials. Need 380V or 400 V? As a motor manufacturer, RAILMAN is ready to respond quickly to orders for tampers with different voltages and ship them anywhere in the world.